Home About DNA-testing Which test? There are so many different types of DNA-testing, different types of analysis to be performed on submitted DNA samples – so which test type do you choose? Y-DNA and mtDNA are the most useful tests for genealogy, as documentation of direct maternal and paternal lines. They can be used to verify lines through control testing. These should be the primary choice for genealogy. FamilyFinder is fun, but the application is mainly useful as support together with the other tests, and to control closer relationships within 4-5 generations. Usually this should be considered a secondary test, unless you seek close family, for instance in cases of adoption, unknown parentage etc. Read more about the different types of analysis here on our website, click links or see the main menu. Also scroll down to read more about maximum analysis for the three types of test. There are also other companies that offer DNA tests to genealogists. They all use autosomal DNA, and the tests are similar to the FamilyFinder-test. None of the other companies offer Y-DNA or mtDNA testing for genealogy, and thus it is not possible to expand the test later with further analysis. For comparison of different autosomal tests, see the ISOGG overview, link at the bottom of this page. If you have a test from AncestryDNA, 23andMe or MyHeritage, please consider transferring the raw data to FTDNA to get more matches, and to be able to upgrade with Y-DNA and mtDNA later. Sweden DNA admin Peter Sjölund has a table overview of which answers the various test types (analyses) can be give (in Swedish). 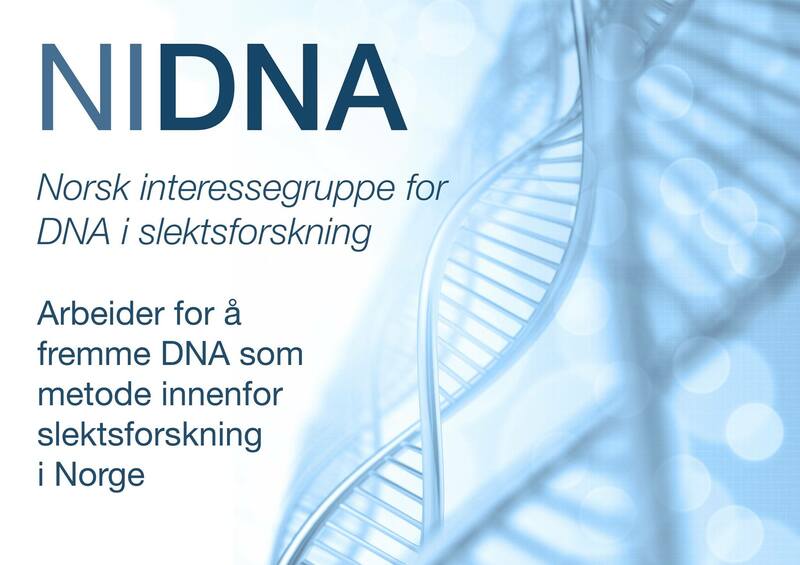 If you are ordering a test for someone who is not yet tested, then order a new test directly from the Norway DNA project here. Then the account/kit number s automatically added to the project, so you can get help and assistance from the administrator team. Y12 and some other test combinations can only be ordered through a project. There might be coupon codes available for further disounts, search forums and Facebook groups to check. Note that you should not be logged in to an existing account when you order for a new person. A person who already has a kit number at FTDNA or Genographic should order further analyses as an upgrade to the existing kit and sample. It saves a little money and new postage. Log in with your kit number and password, and click “Upgrade” in the top right corner of the page, when logged in to your account. You normally do not have to submit new samples/vials, and the results will be available through the existing account – the same kit number. After several such upgrades, sometimes a further samples are needed; if so FTDNA will send a new kit with vials at no futher cost. Who is more important to test? Everyone in your family or those you know who are the last living descendants of direct male lines or direct female lines, should have their DNA secured and tested, by analysis of Y-DNA or mtDNA respectively – DNA as documentation. Most important is the older generation – four tests from your four grandparents are much more valuable than a test of yourself. Go through your family and check who is available for testing, and which direct maternal and paternal lines they represent. It is often more useful to submit a test (sample) for a male, since only men have Y-DNA. It will usually be more economical to have a male to a combination analysis for Y-DNA and mtDNA than testing two different people. If you are female you do not have a Y-chromosome to test, but your father and brother has it and represent your direct paternal line. Send inn a sample from one of them if you can. As a woman your own mtDNA can be analysed. Your brother, your maternal uncle and your son will also represent your direct maternal line and have the exact same mtDNA as yourself. Either of these three will normally be a better choice for submitting a sample than yourself, since you will then also have the opportunity to also do a Y-DNA-analysis on the sample at the same time, or later as an add-on. The ideal organization ISOGG has table overviews that compare the test companies and the tests they offer. 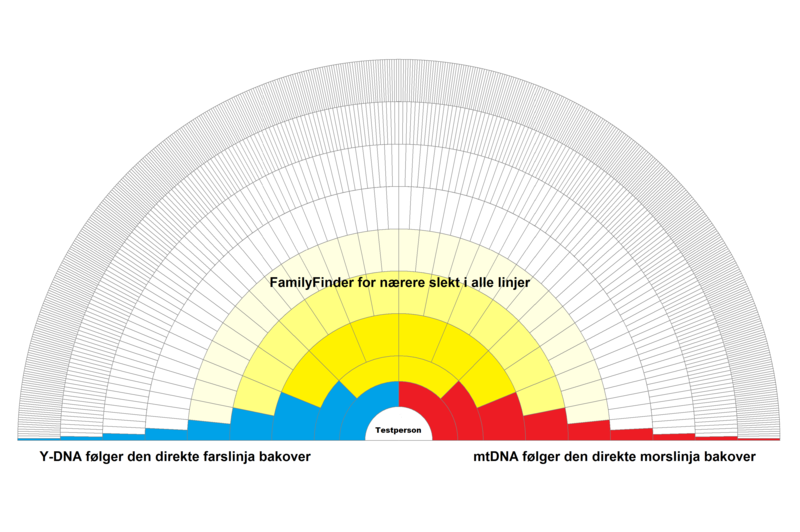 Note that Norway DNA is connected to the company FamilyTreeDNA.